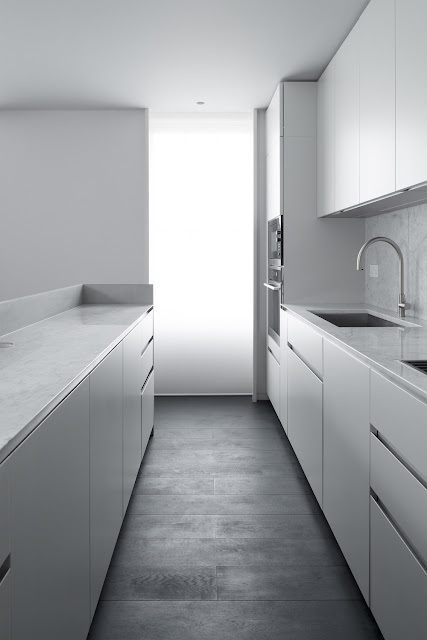 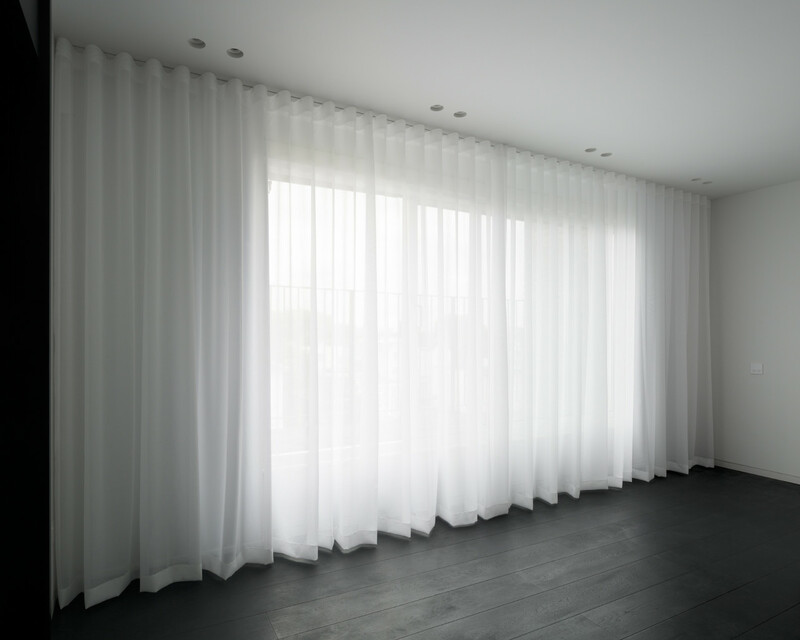 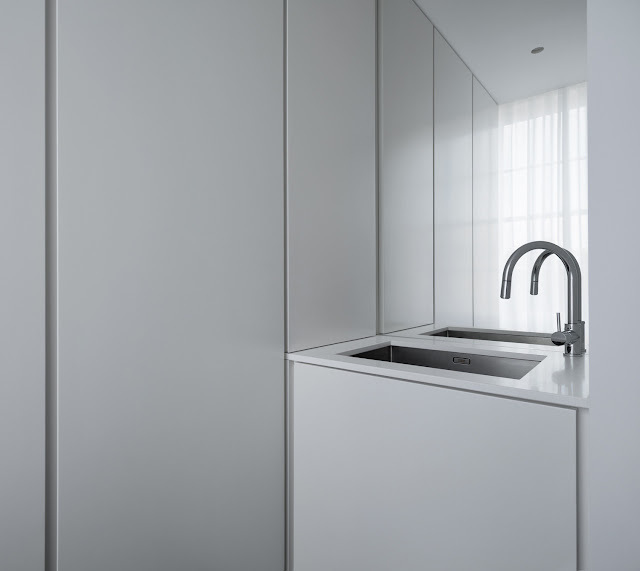 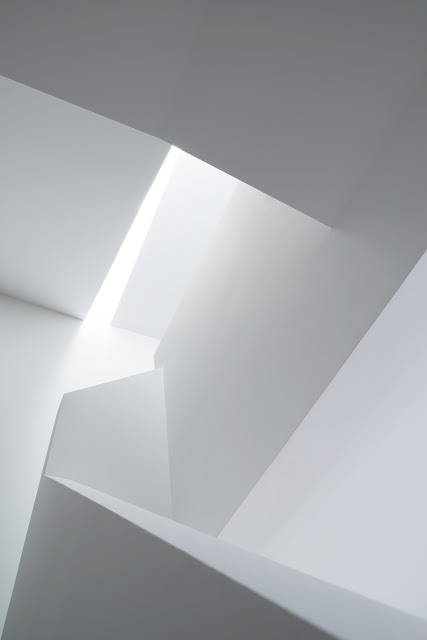 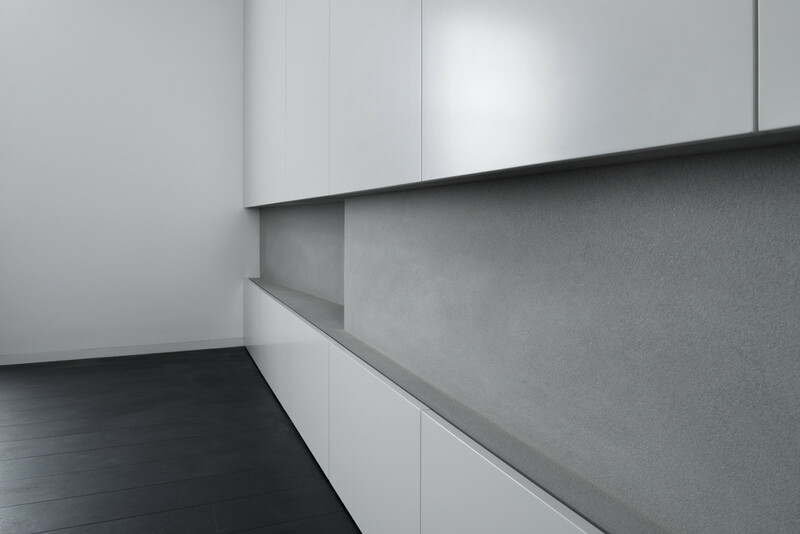 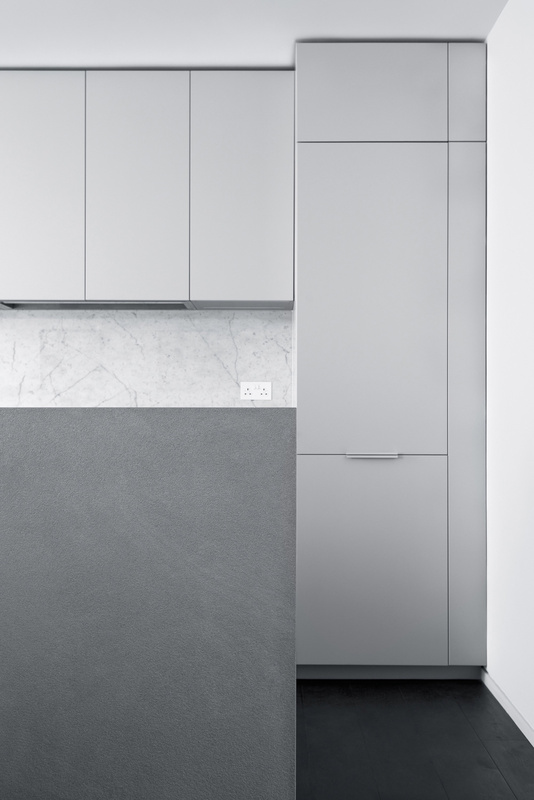 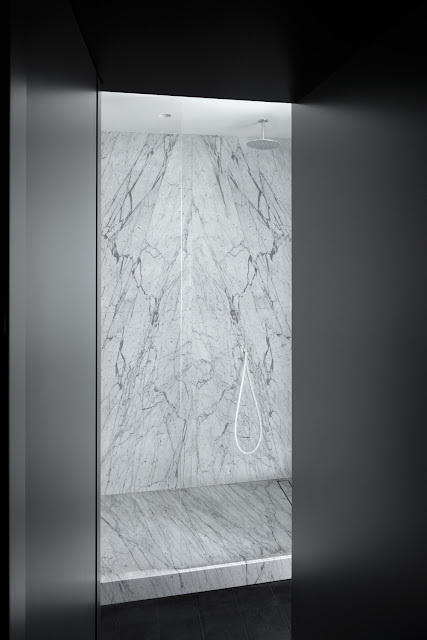 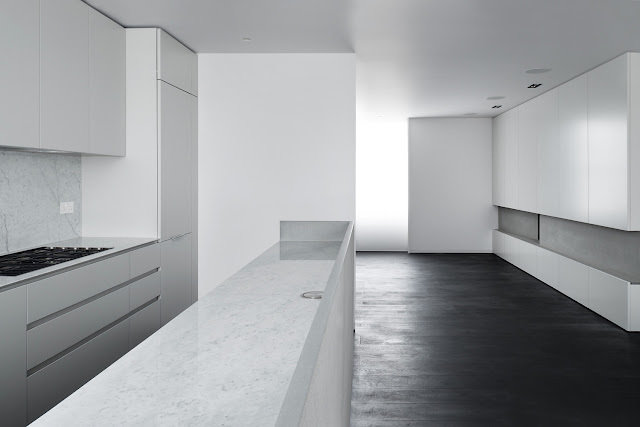 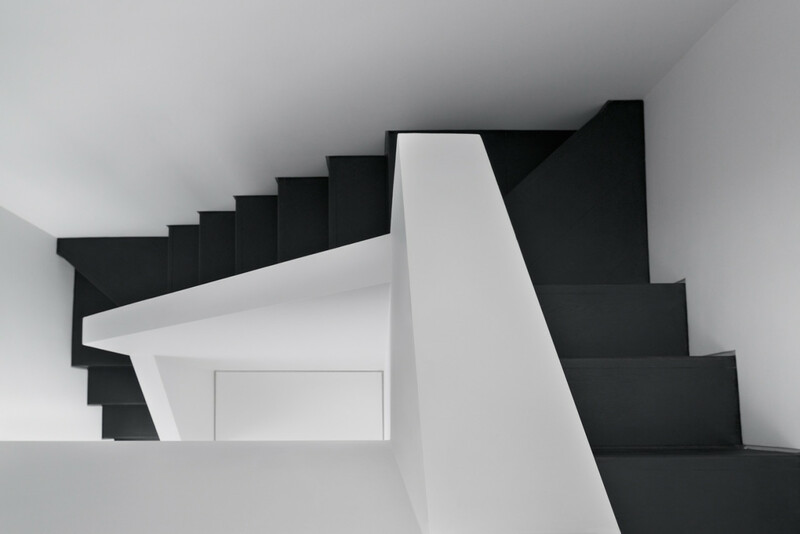 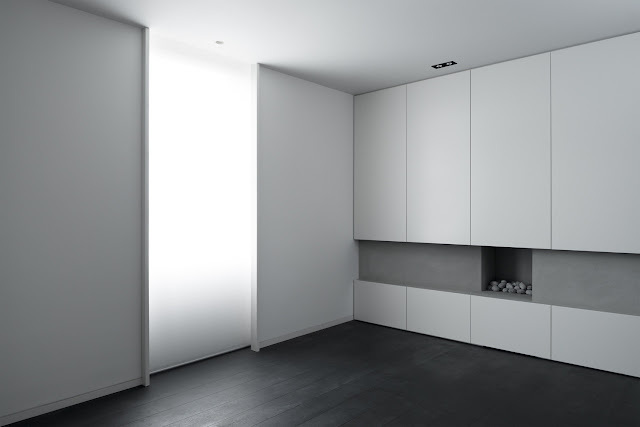 London based Paolo Cossu Architects in collaboration with MB Design Studio designed Abercorn Place apartment in London through a minimalist approach, focussing on timeless simplicity with an attention to precise detailing. 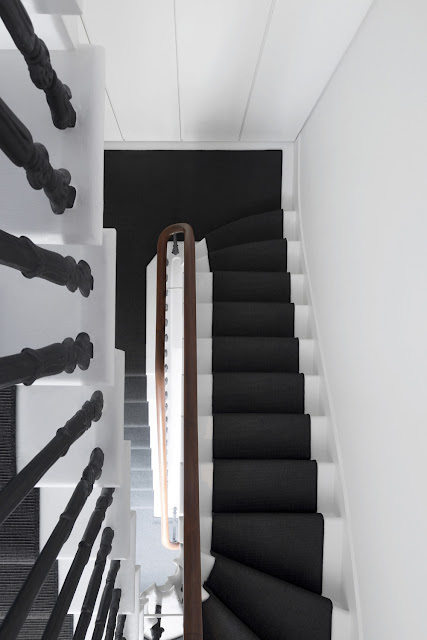 “Occupying the two top floors of a Victorian terraced house in St Johns’s Wood, London, the original space was converted into three apartments in the late 70’s and stripped of most of its original features. 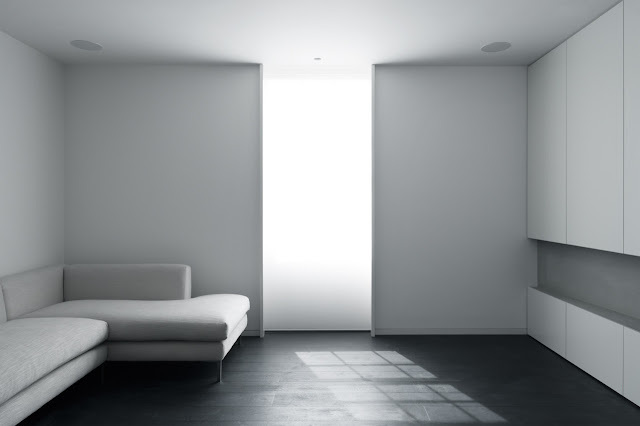 The three bedroom apartment featured a cacophony of ceiling levels, door sizes, wall finishes, and window styles. 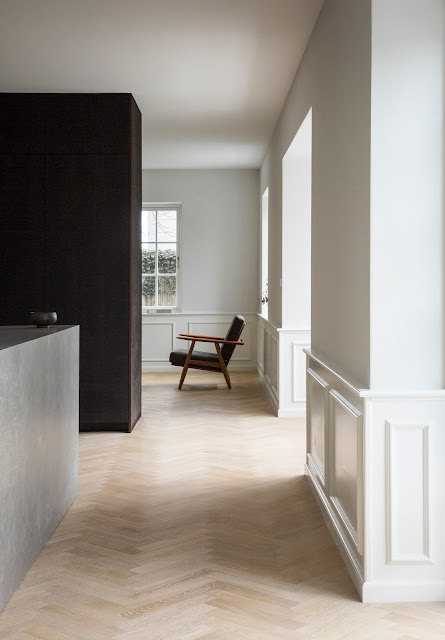 The project’s brief called for a contemporary interior unifying the space and integrating the existing remaining Victorian features with an uncompromising modern intervention. 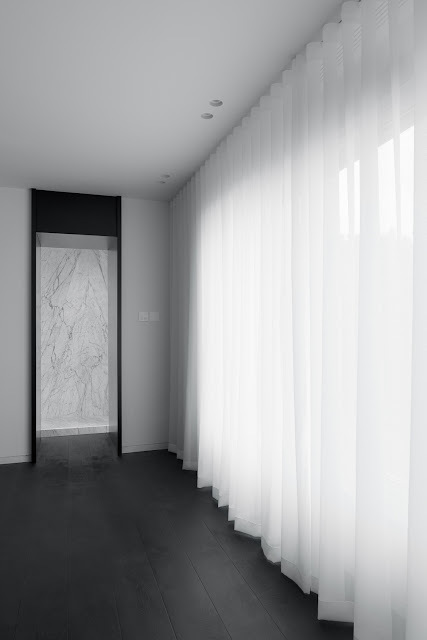 The design approach was to create a luxurious interior using a limited sober material and finishes palette and to work with light to create a cohesive character rich in contrast.